The seeds are coming home to us. Across Turtle Island, there is a growing intergenerational movement of indigenous people proud to carry the message of the grand rematriation of seeds and foods back into our indigenous communities. Some having been missing from our communities for centuries; carried on long journeys in smokey buckskin pouches, upon the necks of peoples who were forced to relocate from the land of their births, their ancestral grounds. Generations later, these seeds are now coming back home; from the vaults of public institutions, seed banks, universities, seedkeeper collections and some laying upon dusty pantry shelves of foresighted elders, seeds patiently sleeping and dreaming. Seeds waiting for loving hands to patiently place them into welcoming soil once more so that they can continue to fulfill their original agreement to help feed the people. This past weekend, as part of the closing circle of the Southwest Intertribal Food Summit, hosted by NAFSA, TCEDC, Red Willow Farm and Taos Pueblo, precious Taos Pueblo squash seeds were safely gifted back into the loving care of elders and farmers here in this beautiful Pueblo village. Under beautiful bright sunshine and glistening snow upon the mountains above Taos Pueblo we feasted to honor the indigenous foods, the ancestral knowledge of our food ways and our seeds as a part of the SW Intertribal Food Summit. Indigenous Seedkeepers Network had the honor to assist and facilitate in the Seed Rematriation of an old landrace variety of Taos Pueblo squash that had been away from this community for decades in the Seed Savers Exchange Seed bank. This reunion was deeply symbolic, incredibly emotional, and ultimately genuinely healing. It was a deeply healing and emotional welcoming home circle, as the Governor of the Taos Pueblo and elder farmers like Henrietta Gomez received the gift of the first harvest of seeds. They pledged their renewed commitment to multiply these seeds for future generations and expressed deep heartfelt joy that these seeds were coming home to this land where they co-evolved since beyond living memory. The women caressing the squash like a baby, tears glistening in their eyes, there is so much love on this path to restore our relations to the foods of our ancestors. The squash and a bundle of seeds for planting was welcomed back into the community like a long lost relative, to many tears, hugs, and deep appreciation. The farmers at Taos Pueblo and Red Willow are already excited to think about spring planting, and sharing the abundance of these seeds within their community. This past year, ISKN has initiated a relationship with one of the largest public access heritage seed banks in the world, Seed Savers Exchange (SSE). Working cooperatively with SSE, we identified that there are hundreds ( potentially thousands) of varieties within their seed vault collection, that have origins within tribal communities within North America. 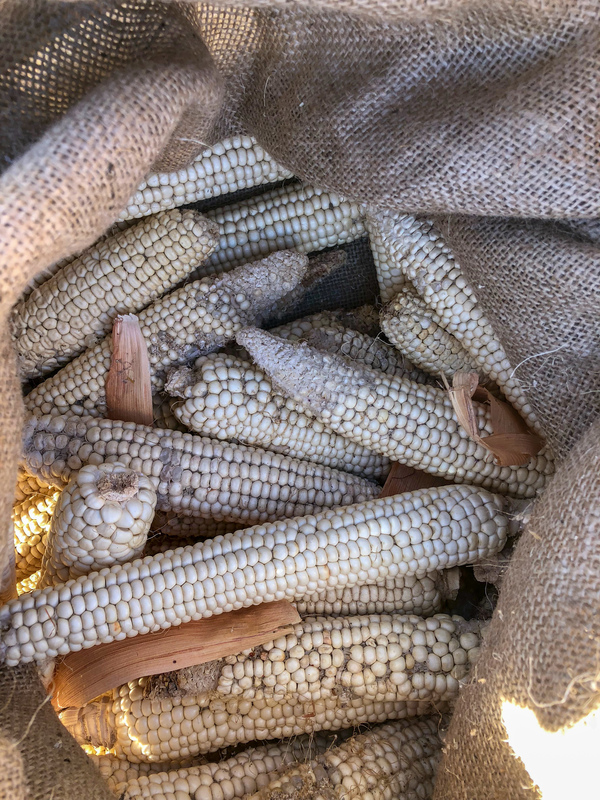 Over the winter of 2018, we came into an agreement between NAFSA and SSE to collaborate on a Seed Rematriation project, where we would sponsor the rematriation process of initially 25 native varieties of corn, beans and squash back to tribal communities. As a part of this process, we are working with a focus group of native farmers and seedkeepers, as well as other stakeholders from similar seed rematriation projects happening with regional seedbanks, museums and universities, to develop a shared action framework and best practices guideline document for other communities wishing to engage in the Seed Rematriation process. There is powerful healing work of reconciliation when we work cross-culturally to bring these seeds home to their communities of origin. Indigenous SeedKeepers Network is working to assist communities who are working towards Rematriation of their precious seed relatives. We are working cross culturally with many stakeholders, including native farmers and gardeners and representatives from tribal communities, institutions and organizations who have such seed collections, and also other people who can help facilitate and lay out the needed framework to assist in these seeds finding their way home. We are working towards establishing the protocols and guidelines in this complex and healing work of seed reconciliation. There are deeply embedded cultural and spiritual aspects of these work, as well as legal and political aspects that directly address seed justice. Working collaboratively with Seed Savers Exchange has been very inspirational, and mutually beneficial. As a non-native organization, they have had incredible respect and willingness to allow native leadership in this process, and are doing internal work on educating staff as well as adopting this process to inform future community engagement. They are setting a wonderful precedent for other seedbanks and non-profit organizations to work respectfully and collaboratively with native communities in the process of reclamation of traditional seeds. It has been a very insightful process for all involved. Seed Savers Exchange has been willing to share about their comprehensive seed banking methods with seedkeepers from native communities who wish to establish seed banks/libraries from their own communities, as well as share protocols and methods for seed history and cultural memory documentation, as well as seed bank database and critical methods for seed storage. ISKN and our circle of seedkeepers have helped inform this organization on how we view these seeds as part of our cosmology, and offer a wider perspective outside the western scientific view of seeds, as well as inform them of how to move forward in culturally appropriate ways to honor not only the seeds but the communities of origin as well. There has been a cultivation of mutual respect and benefit, as well as building trust to ensure that our beloved and sacred traditional seeds are returned to our communities with honor and dignity. Indigenous Seedkeepers Network has been working together in a collaboration with many people and organizations to reunite native seeds back into tribal communities of origin. Part of this rematration path, of finding our seed relatives and carrying them home, is reawakening the intertwined harmonies of seedsongs of our ancestors, ourselves and those yet to come. Whatever it takes, we must continue to carry our ancestors greatness into tomorrow, and our seeds are one of their precious gifts for us in this day… Inside those seeds, Our ancestors prayers are still protecting us. Our voices come together with theirs as we make the needed prayers for those yet to come. As we welcome the seeds home, we step into each day in ways that make our ancestors proud, may those songs of resilience that course through our blood and bones give us the strength to do what needs to be done to feed the children. Today we worked together to acknowledge the path ahead to uphold our responsibilities to our ancestors, our children and all our relations. Thankful to all the actions and prayers and forces, seen and unseen, that made this seed Rematriation possible. We are all humbled to bear witness to the healing that is happening in our native communities, one seed at a time. There will be 19 more seed rematriations this fall with a diversity of Native communities, and we hope to continue this project for seasons to come. The Seeds are coming home to us. They are helping us to heal. The Southwest Intertribal Food Summit, was a big success, I enjoyed all the collaborations between all the people representing where they are coming from. The Taos Pueblo people were so welcoming and cooked some incredible meals. I attended the summit along with my mentor Roy Kady and another friend of ours Jackie Frank. They conducted a felting session, which I helped out with and shared my knowledge of felting. Beside the felting, we provided a Navajo-Churro lamb from Roy’s flock which was serveed in one of the many lunches we had. We butchered and processed the lamb at Roy’s home in Teec Nos Pos, AZ and brought it all the way to Taos. The morning runs was also a great thing added to the event. The whole event was an awesome experience, to learn what others across Indigenous Country are doing to preserve their culture and the foods that brings those cultures and its peoples together. I look forward to the next summit, and also to collaborate with the people I have met at the Summit. Thank you to all who put this Summit together, you all did a great job. Program Agenda for Southwest Intertribal Food Summit; Don’t miss it! What happened at the 22nd Annual Indigenous Sustainability Design Course? This years Indigenous Sustainable Communities Design Course (ISCDC 2018) was held in Northern New Mexico at the Camino De Paz School-Farm from July 22nd through August 3rd. It was attended by 30 students, and featured a majority of Indigenous women instructors for the two weeks of intensive hands on training. As in previous years, the course follows the Indigenous permaculture approach which is defined as, “the harmonious integration of landscape and people.” Each teaching and skill share, every meal prepared together, each story told, and every field trip taken during the course connects the students to the holistic indigenous approach that is based in the beautiful and complex traditional knowledge of our elders and ancestors. As the course participants attended each day they spent their evening hours working in teams to incorporate these holistic concepts into projects to be presented during the final days of the course. The first day of the course set the tone for the weeks to follow. The group of students gathered in a circle for introductions, to share their views, and express their emotions as they embarked on the next 13 days together. Coming together in this circle is also an exercise in demonstrating the broader teachings the design course is based upon. A ball of string is thrown from student to student around the circle, leaving a line of string connecting the next person to the last, as each person takes their turn to speak. Every student comes from a different territory, a different center of their universe, a different creation story, a different Nation and environment with a different life experience to share with one another. As the last person receives the ball of string the group now sees the result of the “string exercise.” Not only are they connected to the person that threw them the ball of string, but each connection in the circle has come together to create a web of interconnectedness. Clayton Brascoupe, the organizer and founder of the ISCDC remarks after this exercise, “The string illustrates how we’re all connected and interconnected. People, plants, animals, water, wind, stone, stars and more,” these are the threads in the web. He continues, “What we do will affect all, both positive or negative. Diversity is our strength, relationships are our foundation. Everyone is part of our community, everyone is important, everyone has responsibility, just as you see in nature.” It is with this teaching, the knowledge of the web of life, that the course unfolds. Day two of the course was spent visiting ancestral and contemporary sites of “Indigenous permaculture.” Observations were made by the students at Tsankawi, an ancient Pueblo site where the people used natural designs to thrive and live in cooperation with the water, plants, animals, weather, the earth and landscape. Next, the students visited “Healing Oasis.” The urban garden incorporates water harvesting as well as food and medicinal plantings to create an intentional space in a public urban setting to restore the degraded landscape. Healthy soil was the focus of the third day of instruction. Methods to grow and restore soils, including the hands on creation of earth worm composting boxes. In the afternoon the participants learned to make seed balls, an effective way to revegetate an area with native plants. Making traditional planting sticks was also part of an afternoon skill share. The planting sticks made their way into the fourth day of instruction as Clayton gave a demonstration with them to make round planting beds. Hands on work by the students included double dug and waffle style gardens with integrated drip systems. Day 5 began with a classroom discussion on types of gardening including ancient rock mulch, three sisters and bio-intensive gardens. Later that day, Los Rios Rafting company hosted an exciting afternoon on the Rio Grande River. Red Willow Farm from Taos Pueblo, hosted the field trip and instruction on day 6. Community involvement and commitment, from the youth to elders, were key themes spoken about by Sheryl from Red Willow. Tribal member community involvement begins with putting seeds and intentions in the ground and culminates in a weekly farmers market that provides fresh produce, traditional foods for elders and other community members at affordable prices, and healing through community involvement. The farm must consider more than just the human needs for food, but also respecting the water and seasons in a dry, high altitude climate where drought and insects can affect crops. Observation of our natural surroundings and the hard work and commitment of community are part of the holistic ways we work in partnership with our surroundings instead of against them. Food is our medicine! Having access to clean, non-gmo, ancestral foods is part of reclaiming and asserting ourselves as Indigenous people. Corn is the ancestral food for many Indigenous Nations. The traditions surrounding corn people are as varied as the communities they come from. The 7th day of the Design Course gave the students the opportunity to process corn into different forms of delicious, nutritious food. Blue corn was processed into Blue corn masa and the day was spent making and cooking blue corn tamales and tortillas. Food traditions are transmitters of medicine, health, language and culture. Around half of the world’s farmers are women and in developing countries 79 percent of the economically active women are farmers (worldhunger.org). Day 8 instruction of the design course covered Indigenous Women in Agriculture. This was allowed by Norma and Hutch Naranjo (The Feasting Place) of the Ohkay Owingeh Pueblo by opening their home and horno (earthen oven) for hands-on food preparation, and sharing their experience with traditional farming and food preparation from their Pueblo. The day finished with Nicolle Gonzalez, a certified nurse-midwife and founder of Changing Woman Initiative. The inspiring and thought provoking conversation included how Indigenous midwifery supports nation building and sovereignty, as well as discussing the history of midwifery in Indigenous communities and what is happening now. Lilian Hill, Director at Hopi Tutskwa Permaculture Institute, started the 9th day off with sharing her expertise as an Earth builder. Earth building uses local materials, is less toxic, has a smaller carbon footprint with transportation, and will cool and heat structures efficiently. Students finished out the day and gave Earth building a try by repairing an horno (earthen oven) in the Santa Clara Pueblo. Day 10 was spent in discussion with Rowen White, Indigenous seed steward and director at Sierra Seed Cooperative as well as Coordinator for the Indigenous SeedKeepers Network, a program of the Native American Food Sovereignty Alliance. The day was followed by a visit to the seed bank and farm at the Tesuque Pueblo with Emigdio Ballon. Clayton Brascoupe’s comments from that day, “How do we insure we have a healthy culturally appropriate diet, seeds that have the ability to thrive in a rapidly changing climate? Our ancestors provided these for our well being. We need to grow and protect our plant food relatives.” Rowen shared her seeds with the students and her experience as an Indigenous seed steward. “What are seeds?” she asks. Seeds are life, seeds are a blue print, seeds are our relatives, seeds are our ancestors seeds are resilient, seeds are alive…. There was a final field trip, on day 11, to the Flowering Tree Permaculture Institute, Santa Clara Pueblo. Roxanne Swentzell, founder, took the group on a tour of her home and desert oasis that was once only a parking lot and hard packed earth. Through her hard work and observation of the site, she created micro climates for plants to grow and thrive creating space for the land to heal. Everything has a use and even the grasshoppers are seen as a food source. By stacking functions the participants saved the garden by harvesting the grasshoppers and used the grasshoppers to contribute to a traditional and sovereign food experience. High protein grasshopper flour! Back at La Paz farm for the afternoon session, Nicole Francis, Indigenous herbalist, forager and grassroot community educator, taught an herbal processing class. After a short lecture on the different herbal processing methods and ethics regarding collection, the students went to the kitchen and worked on cutting medicines for a fire cider. The final hour they made a healing salve from local medicinal plants. As the course was coming to a close the 12th day was spent on the sustainable design course projects and their team presentations. After the presentations the students received their certifications of course completion. Thank you Clayton Brascoupe for encouraging and inspiring the graduates of the last 22 years of the Design Course!! Enjoy Historical Presentations including: The Pueblo Revolt, The Return of Blue Lake, ‘Tribal Leaders and La Donna Harris’, Indigenous Foods, Hands-on Workshops, Culinary Teachings with Native Chefs and a Traditional Pueblo Feast in the Pueblo Village. 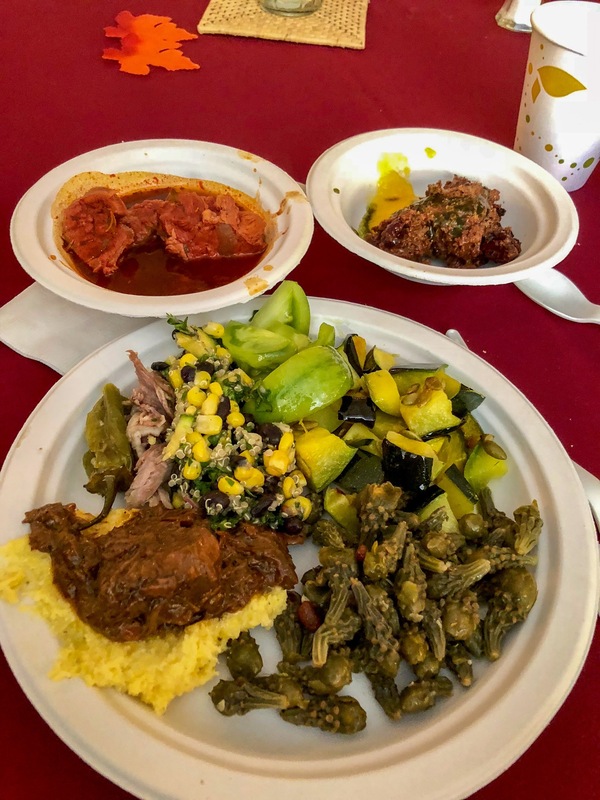 The Southwest Food Summit in Taos, New Mexico is sponsored by the Native American Food Sovereignty Alliance, Traditional Native American Farmer’s Association, Taos Pueblo, Red Willow Farms and TCEDC’s Taos Food Center. You can book on Hilton.com or call them to book your room! ISKN has been working on organizing a number of gatherings and ways we can bring the message of our program and overall NAFSA voice into native communities. As a part of our mission of our program, we continue to develop curriculum and tools that serve the larger native community to increase seed literacy and empower their seed sovereignty movements. 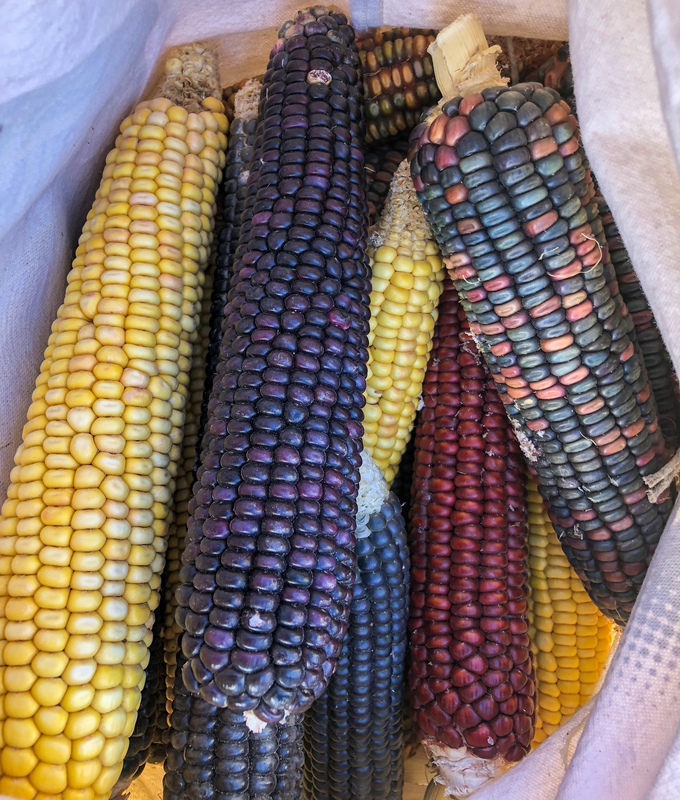 Rowen White traveled to Narragansett/Mashantucket Pequot community to offer a seed stewardship training over 2 days as a part of the Intertribal Food Sovereignty Summit. 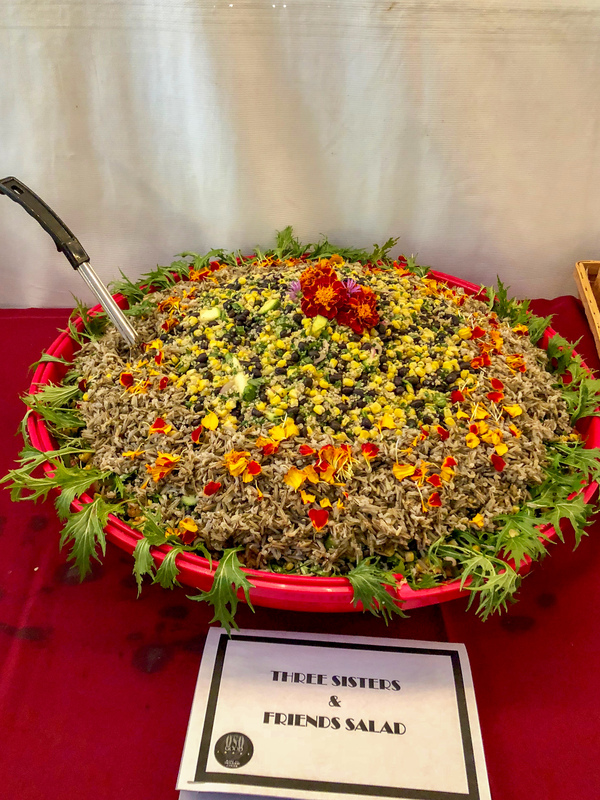 There were dozens of participants in the seed track over the 2-day program, and we are grateful to make more connections in the Northeast area with tribal communities who are making a significant impact in their communities by creating access to healthy and culturally significant foods. 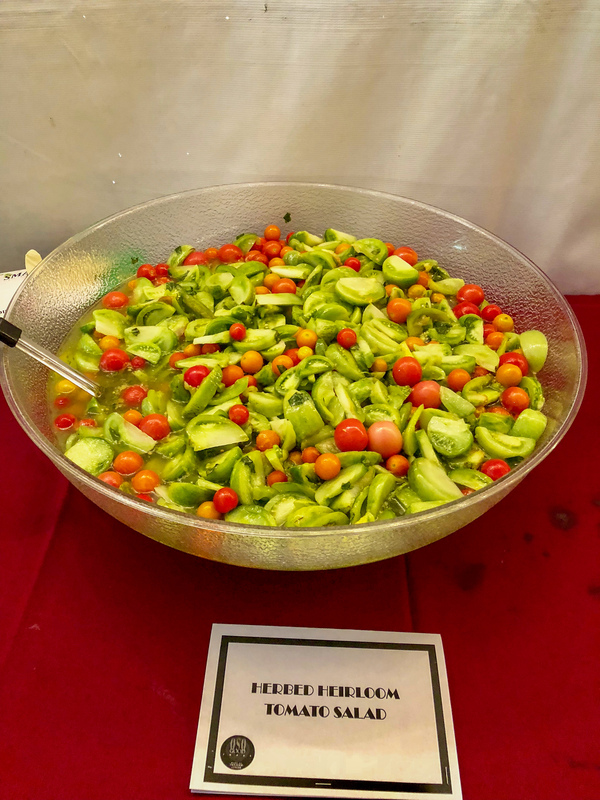 There was also a vibrant seed swap, where rare heirloom varieties from the northeast region were shared and traded as a part of an overall indigenous barter fair during the event! Nothing gets farmers and gardeners more excited than seeds!